The post ended by looking at the evidence, and questioning whether Mr. Hynes’ understanding was necessarily correct. Mr. Hynes’ statement was penned on 19 October 2017, that is six weeks ago. So what is the situation as of today? 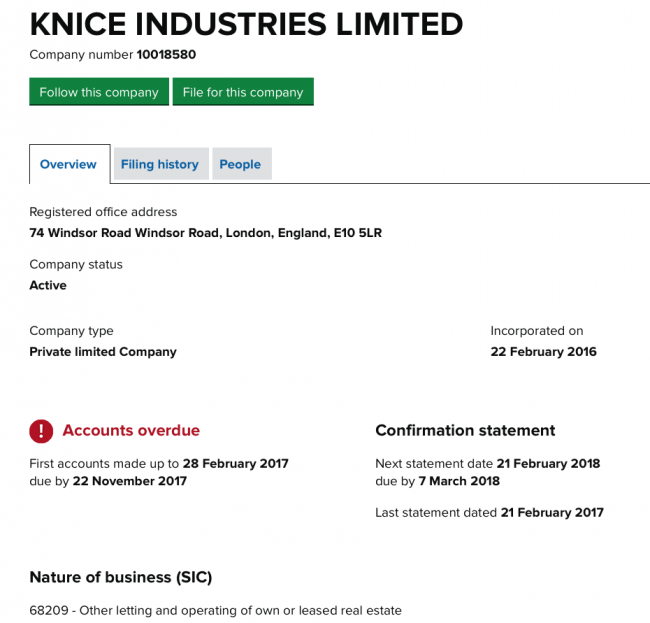 Has it become any clearer that Knice Industries Ltd. is ‘dormant’, and ‘in the process of being struck off’? Well, unfortunately, it has not. 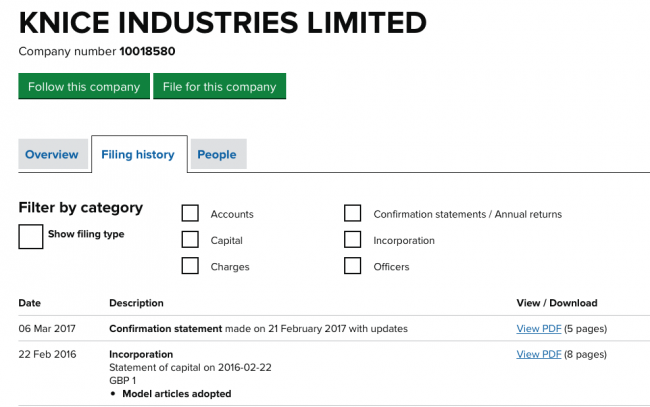 Far from being ‘dormant’, then, the company is officially ‘active’, and also (this is new) not being very well run – at least in so far as submitting its accounts on time is concerned. What about evidence of an evolving strike off? No mention of a strike off there.